From the depths of time come these masterpieces from my youth. 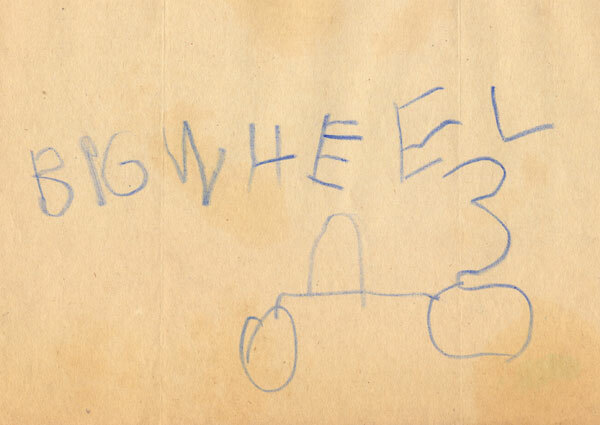 First comes this rendering of my ride of preference done when I was about four years old. 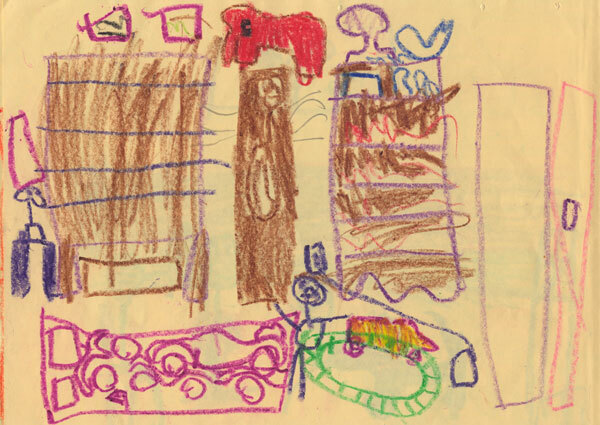 Next is this depiction of my bedroom, featuring me on the floor with a train set. I still have the bookcase on the right with a ceramic whale on it and (I think) a globe. And that red blob on the wall was a furry elephant. I think the rectangle on the bottom left is my bed. 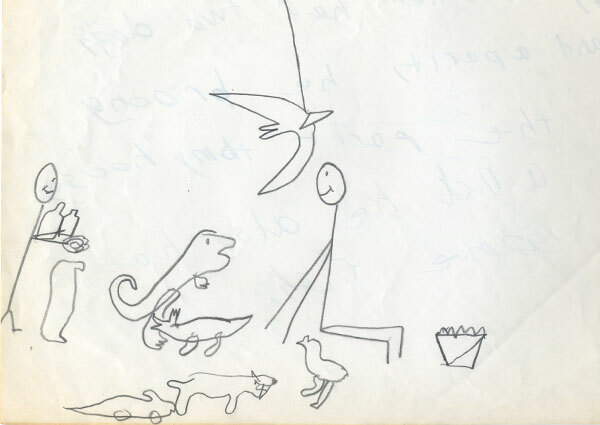 Lastly, I had a bunch of dinosaur models called Prehistoric Scenes. They were some of the coolest things I had as a kid. Especially the 18 inch tall T-rex! Thanks, Pups! And my four year old self thanks you too.